Athens has seen many large, luxury student housing complexes built downtown and around campus that are drawing students to the area. Luxury student living, equipped with pools, gyms and yoga studios, has taken the country by storm, and Athens has been no exception. In the last five years, out of seven new luxury student living complexes built in Athens, six sit inside the downtown area. “Most of the downtown student housing complexes were built after 2010,” said Catie Sauer, planning technician with the Athens-Clarke County Planning Department. Sauer said this is reflective of the “back to the city” trend. “Being walking distance from campus and downtown activities is certainly appealing to students. People want to live in close proximity to amenities like restaurants, bars and entertainment and embrace a less car dependent life-style,” Sauer said. But, not everyone has followed suit. Athens Ridge, located off Macon Highway, goes against this trend. Why It’s Newsworthy: Students are increasingly drawn to newer, luxury living, and in Athens, most of this exists in the downtown area. As mentioned in the WABE article and podcast linked above and here, this trend has some worried that students are taking over the downtown area. Places like Athens Ridge offer an alternative to this trend. As shown in the map below, a large majority of the newer, luxury student complexes exist downtown. Some students move away from downtown to places like Athens Ridge for cheaper rents and better lease options. “I was drawn to live at Athens Ridge because I needed to find a place that offered a six-month lease since I graduate in December,” said Grant Alexander, a senior marketing major at UGA. “The apartments are reasonably priced and really spacious, which is definitely a reason I came to live out here,” said Andrew Buss, a senior management and information systems major. While sub-leasing is an option, the six-month lease is not available for most of the downtown luxury complexes. The price range also drops farther from downtown. None of the downtown luxury complexes from the above map offer rooms for lower than $750 per month. 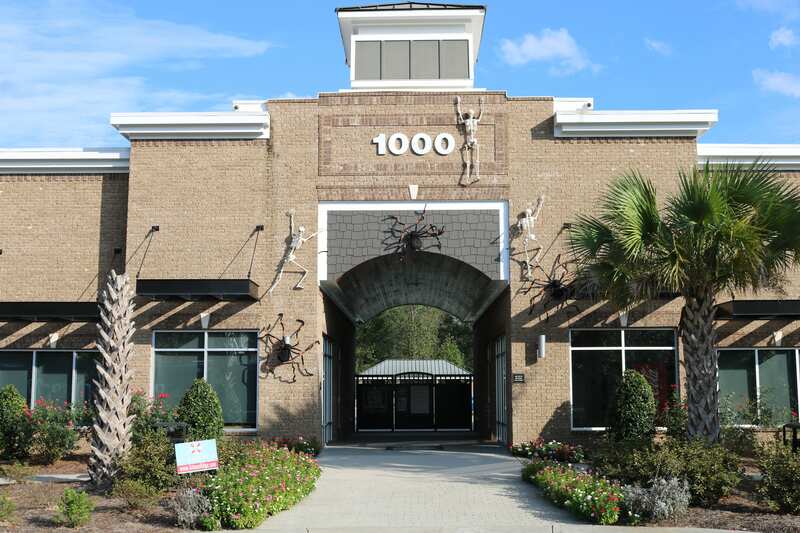 Athens Ridge offers rooms for $499 per month. Amenities are one of the biggest draws to any luxury apartment complex. Aside from Uncommon Athens, all of the downtown complexes, like Athens Ridge, come with a pool and gym for residents. The cluttered downtown area can cut back on the space for these complexes though. Being away from downtown, Athens Ridge does not run into this issue. “There is a really decent amount of grassy space in between the rows of apartments which can be great if you have a dog with you. The pool and lazy river were also great for the months of August and September while it was still really hot outside,” Buss said. While the prices and space may be a nice change to living in the downtown area, the commute to campus and downtown is something that takes getting used to. Not every schedule causes so much stress about the commute, and some students don’t actually mind the distance from downtown and campus. “I’m indifferent about the commute. I only have class on Tuesday and Thursday mornings, which is the only time I’m on campus, so the bus works pretty well getting to and from campus,” Buss said. 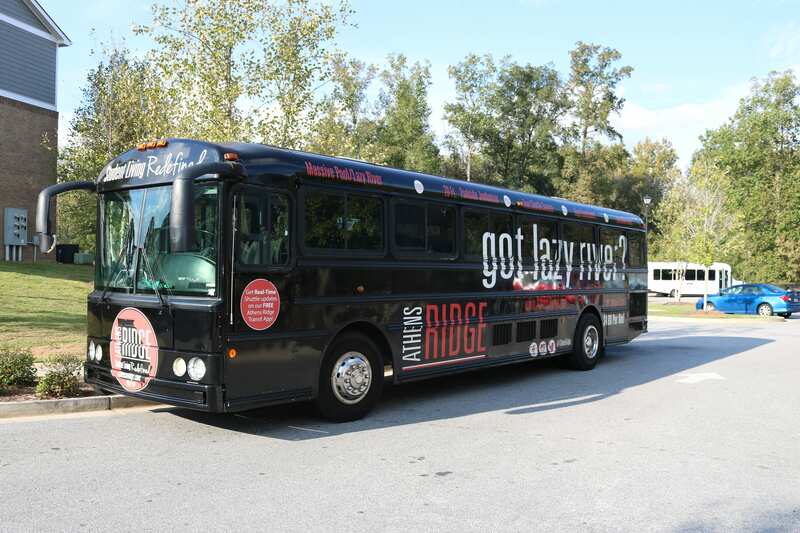 Athens Ridge, like other student housing complexes away from campus, has a bus to shuttle students to and from class. Andrew Buss said the shuttle takes about 20 minutes to get to the Tate Center bus stop on average. Some students make do with the distance from campus and downtown, but it is not for everyone. Alexander, who previously lived at 909 Broad St., said he would much rather live near downtown because of the convenience factor. Downtown living comes with its advantages, but so does life away from the busy campus and night life. “I don’t mind living far away from campus and downtown because right now I don’t have to spend that much time on campus, and I really don’t go out to the bars as much as I used to. Uber and Lyft prices are also reasonable when I do want to head downtown,” Buss said. Charlie Ferrelle is a senior majoring in journalism in the Grady College of Journalism and Mass Communication at the University of Georgia.